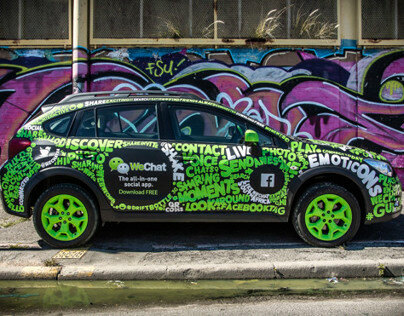 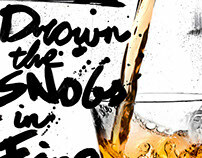 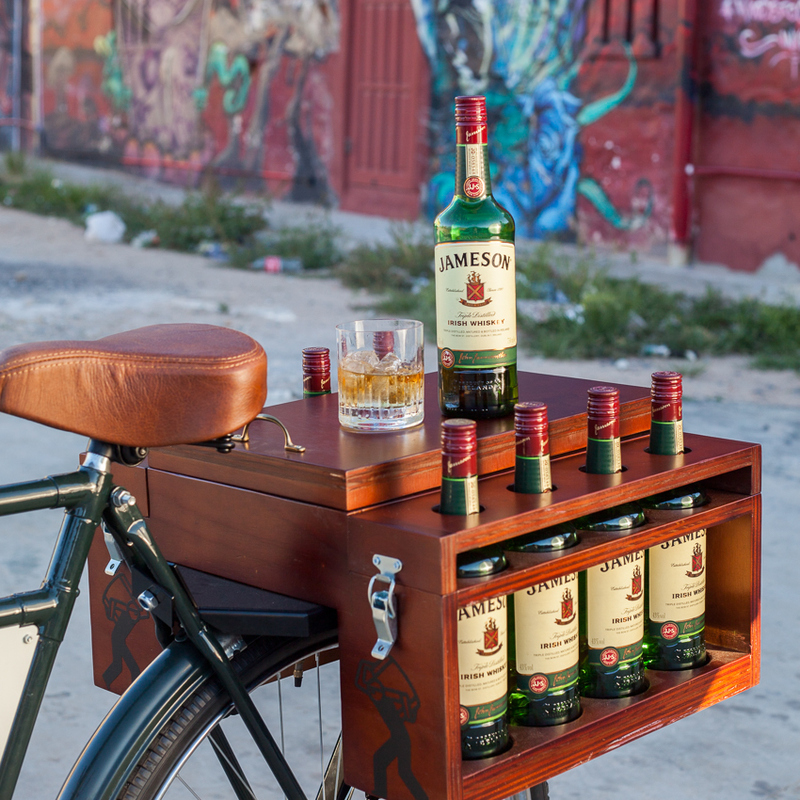 Designed and built for Jameson Irish Whiskey by NightVision Spaces. 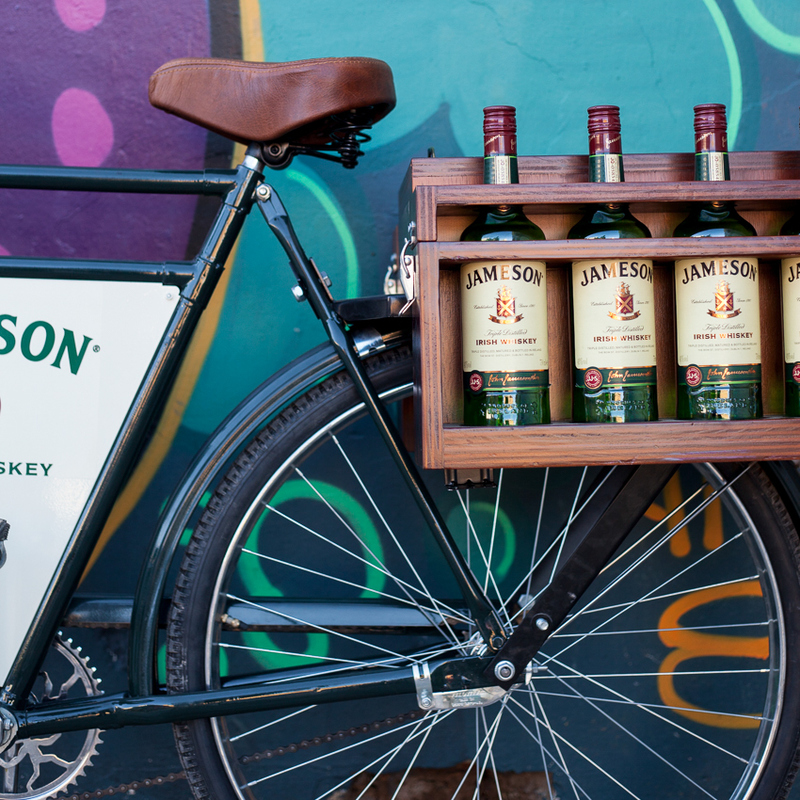 This vintage bicycle was repurposed with festivals and events in mind where it can be wheeled in, and expands into mobile bar. 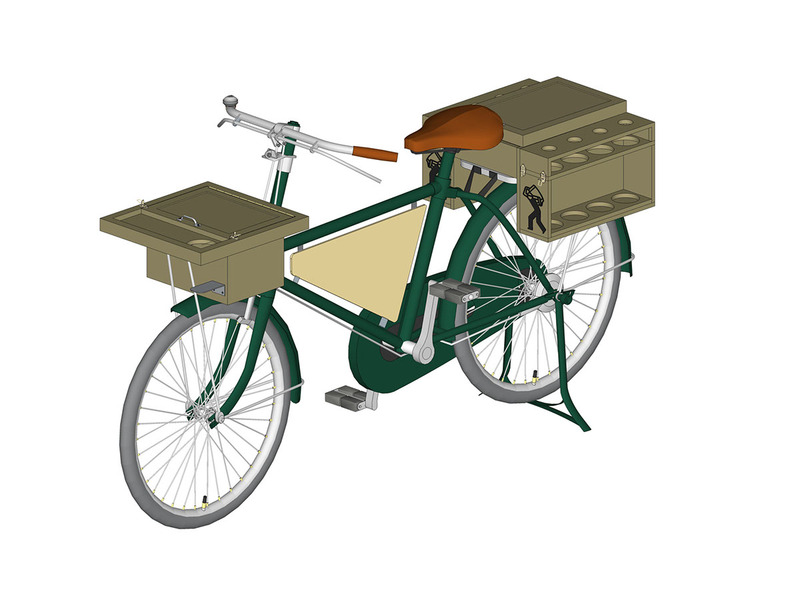 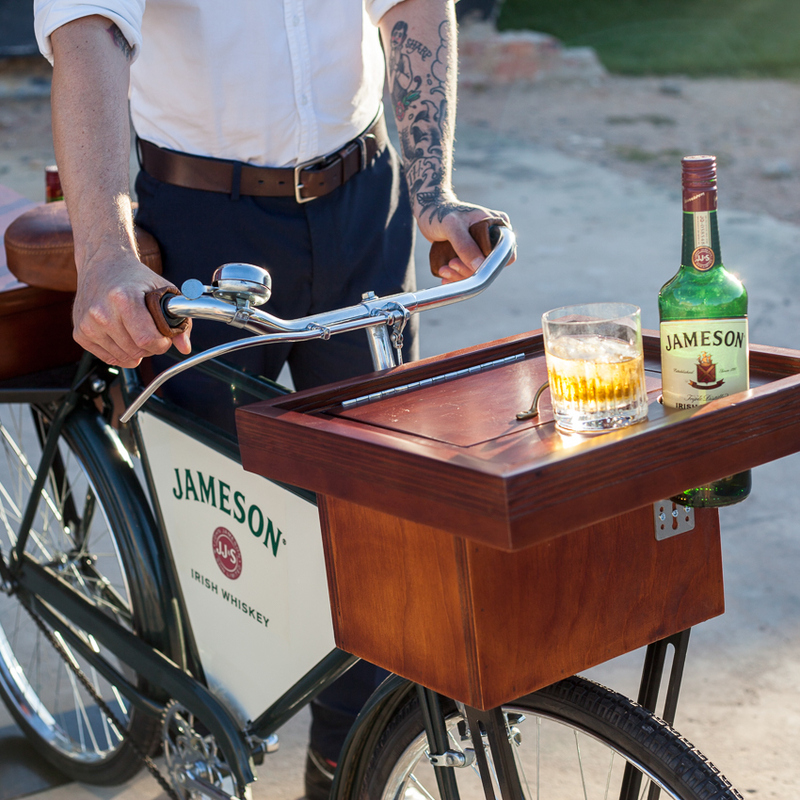 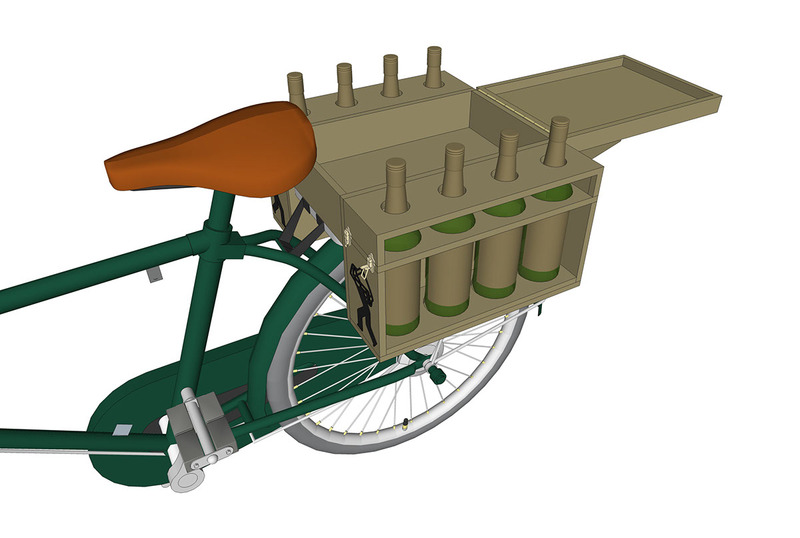 Complete with lockable bottle holders and ice compartment, it remains a fully functional bicycle too.